Detroit in June puts winter in its place. Gone are the slushy sidewalks and grey skies; in their place are warm breezes and no jacket days. In our midst – in the city that rose from the ashes – is the power to make all the change necessary to achieve a vibrant, resilient, local triple bottom line economy. We are a community filled with thoughtfulness, creativity, and most importantly, a production mindset. We need look no further than our own backyard to find the talent and skills that give us the power to change things. SMSBF is proud to announce Terry Link as its keynote speaker for the event. 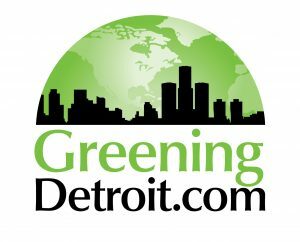 Terry is a long-time thought-leader in Michigan; he brings more than twenty-five years of experience advancing sustainability initiatives in Michigan. His work has led to a number of advances, bringing resources to bear on the most pressing issues of our day. In his blog, “Possibilitator”, Terry makes a cogent message. Terry knows the need to challenge the status quo; he’s well-read and shares his knowledge and wisdom freely. His insights are inspiring, far-ranging and point toward the triple bottom line of people, planet and profit. Speaking of the triple bottom line, this year’s Forum will again feature people, planet and profit workshop tracks. Each workshop will provide attendees opportunities to “connect-discover-learn”. The vendor mall will feature local businesses and organizations that create TBL value. The emphasis and spotlight are on local expertise and local sourcing; this includes the food and the drinks. You won’t want to miss this one! Mark your calendars and save Thursday, June 27th, 2019, for SMSBF’s, Triple Bottom Line Forum: The Power to Change Things. at Wayne State University Student Center.